Formerly a popular garden plant, particularly in Europe, large-leaved lupin is an attractive addition to flower borders and cottage gardens and went on to be used as one of the parents of the famous Russell Hybrids that have dominated lupin-growing since the 1930s. 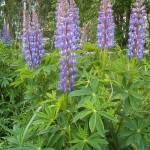 A stout herbaceous perennial, large-leaved lupin grows up to 1.5 m tall. The palmate leaves are divided into 9–17 leaflets; leaflets are up to 15×3 cm. Flowers can be blue, purple, pink or white and are up to 14 mm long. The pea-like flowers are arranged densely on stems up to 60 cm long. The fruit is a brown pod up to 4 cm long, covered with matted, woolly hairs; the pod opens to release 5–9 spotted seeds. 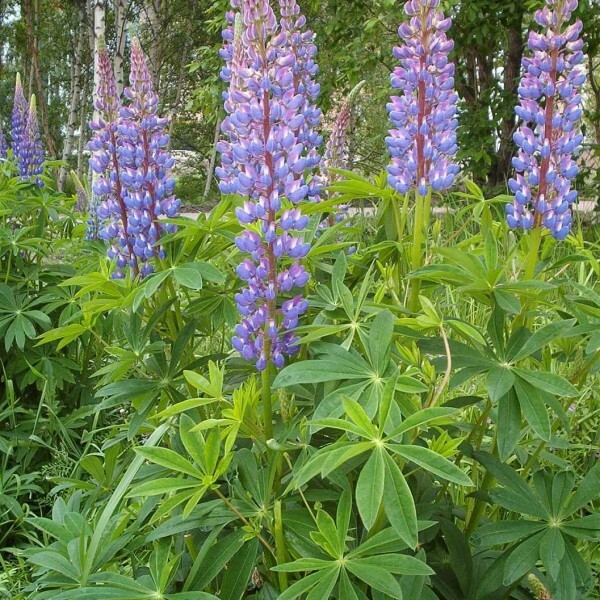 In addition to this general description of large-leaved lupin, it is important to note that the external form and appearance of this species is highly variable across its wide range in western North America. Water requirements - Well-drained, moist soil, can tolerate drought. Germination 1. Presoak seeds for 12 hours and plant immediately. Choose your site. Lupine likes full sun to partial shade, and will tolerate dry or moist sites, although the soil should have good drainage. 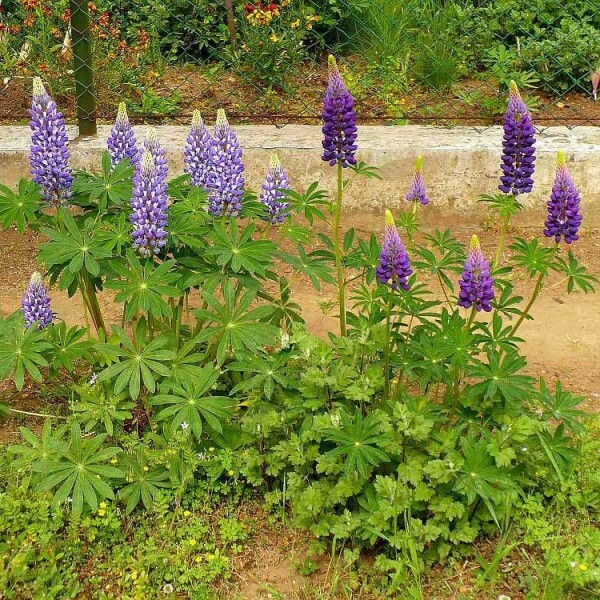 Lupine prefers poor quality or sandy soil, and it is a good flower to plant in that troublesome corner of your garden where nothing else will grow. 2. Decide when you want to plant. In nature, lupine drop their seeds in the fall, and the seeds need a period of cold in order to germinate in the spring, so the easiest and best way to grow lupine is to plant the seeds in the fall. 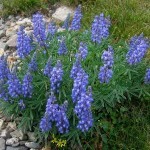 You may also plant lupine seeds in the spring, but it will require a bit more work. 3. 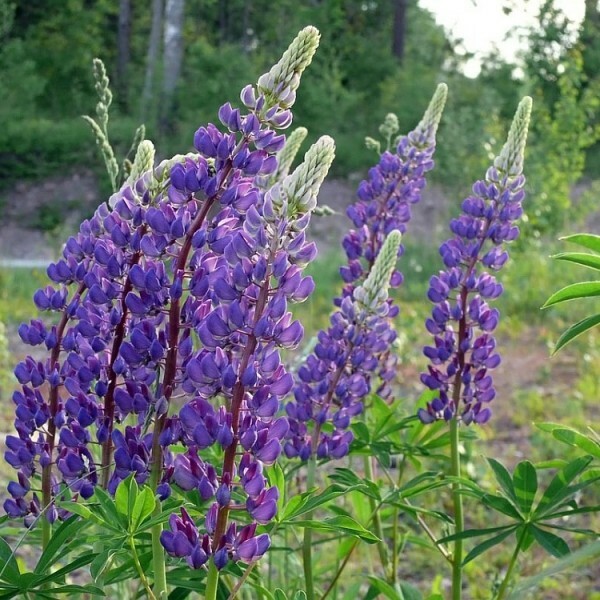 To plant lupine in the fall, prepare the bed by removing any weeds and loosening the soil with a metal garden rake. Bury the seeds under 1/4 to 1/8 of an inch of soil, and water thoroughly. The lupine will sprout the following spring. 4. 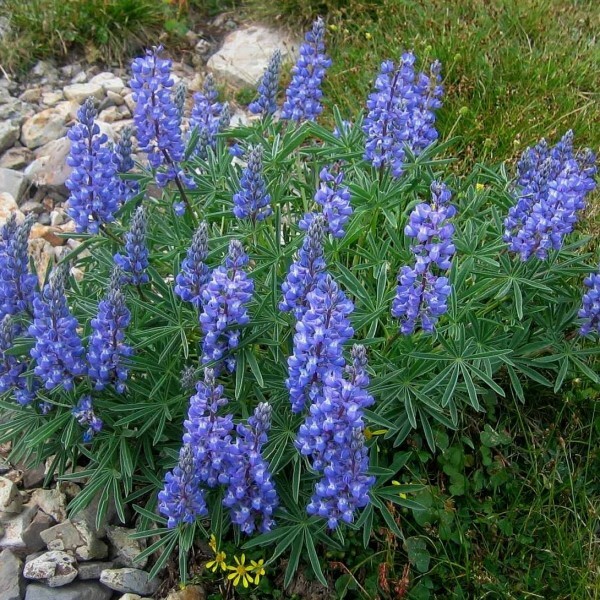 To plant lupine in the spring, you will need to simulate winter, so wrap the lupine seeds in a damp paper towel and store them in a loosely closed plastic bag in the refrigerator for seven to ten days. Prepare the bed and sow the lupine seeds in your garden in the early spring, after the danger of frost has passed. The seeds will germinate in about a week. perennial, and individual plants only live a few years. However, lupine also reseeds itself readily, and a patch of lupine, once established, may continue to grow and thrive for decades.